We’re a small team, but we’re driving big changes in how customers access their financial data and apply for credit. Just tap on the job title you’re interested in to find out more about the role. No recruiters please, we have a roster of agencies we’ve grown to trust and know we can rely on. Our team of product managers, designers and data analysts work hard to make sure we build the right products for our users. Our team of developers has built a sophisticated free credit report and powerful credit comparison platforms. The commercial team is passionate about building lasting, meaningful partnerships. We have a proven track record of reaching the widest audience for our credit comparison service. Our finance and compliance team sets robust process and reports on the success of the business. At TotallyMoney we value diversity – of people and ideas – and we are totally committed to making our workplace inclusive. 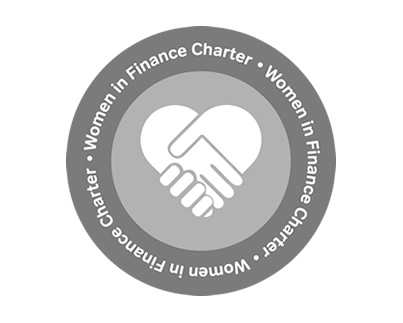 We actively promote greater gender diversity at every level of the business, which is why we’ve signed the HM Treasury Women in Finance Charter. A balanced workforce is good for business – it is good for our customers and it’s good for the TotallyMoney workplace culture. It has a positive impact the way we make decisions, tackle and solve problems, foster creativity and innovation, and connect and communicate with our customers and each other. We will increase the proportion of women on the senior management team from 28% to 40% by 2021. We will implement a levels structure and ensure that 40% of level 2 managers (currently all those with direct reports) are women by 2021. Senior executive pay is linked to the delivery of this target, and takes effect from the payment of the 2021 bonus, in January 2022. We always request a 50/50 male/female split of CVs from recruiters for all positions. All hiring managers receive coaching on diversity and equality. We use gender-specific recruitment platforms: e.g. Ada’s List, CodeFirst: Girls etc. We are committed to improving flexible working provision, to avoid the motherhood penalty. We will attend at least three gender-focussed events a year and take part in additional initiatives e.g. TechSheCan. TotallyMoney is a fast-growing UK FinTech company. We’re expanding rapidly and there’s never been a more exciting time to join.